Drainage problems come in many forms. Runoff, old drains, site problems and other complications can all cause serious issues for any building or yard. Water drainage issues may also damage foundations, exterior pipes, and electrical systems. Improving surface and ground water drainage starts with understanding the systems and solutions available. Dux provides a complete selection of drainage solutions. Rain Mate/Storm Mate: a straight line drainage solution, designed for paths and driveways and aimed at the DIY installer. Rain Drain/Storm Drain: this range includes channel, grate, corners, inline pits and accessories and is designed to meet typical drainage configurations. Storm Masta: this range is the perfect solution for commercial or industrial applications where there is a high runoff. It has been designed to meet the most demanding drainage configurations. 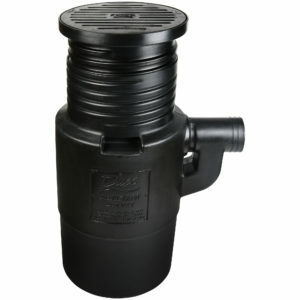 accessories and is designed to meet typical drainage configurations. Architectural: The ultimate surface drainage solution for pool surrounds courtyards, paths, and driveways. Designed to be functional and aesthetically pleasing. Pits: Our industry leading pit range includes high-quality grates and a selection of grate types and leaf guard options. Effluent Drain Trench: Our range covers all your needs, from septic effluent to sullage waste and storm water. Stretch Drain: is more flexible than traditional corrugated pipe and will bend around any obstacle yet still retain its shape and integrity. Contact us today for further information or guidance for the product selection.